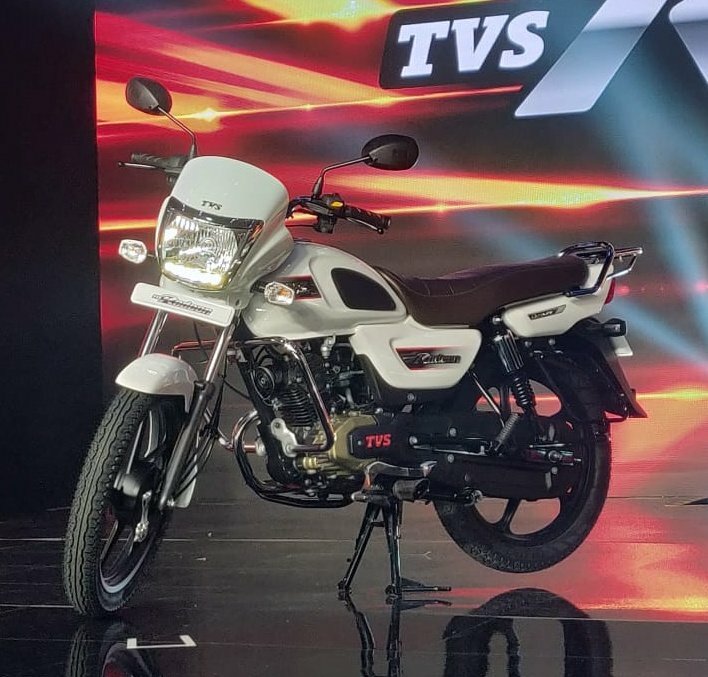 TVS Motor Company, India’s popular Two wheeler manufacturer Today announced a brand new commuter motorcycle called TVS Radeon. TVS Radeon offers shortest braking distance. 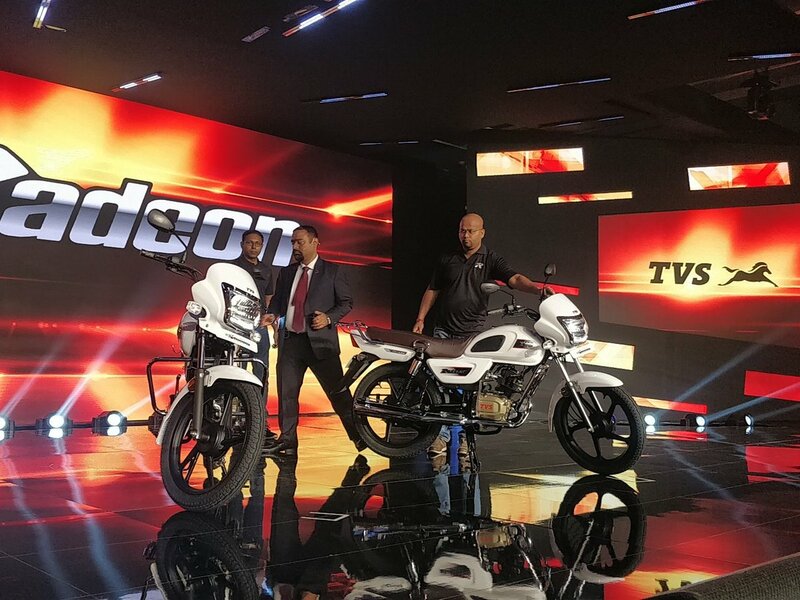 The Radeon motorcycle for the first time in segment is offering synchronised braking system. Radeon offers good comfort and ergonomics in its segment. TVS Radeon is powered by same engine as that of Star City Plus. 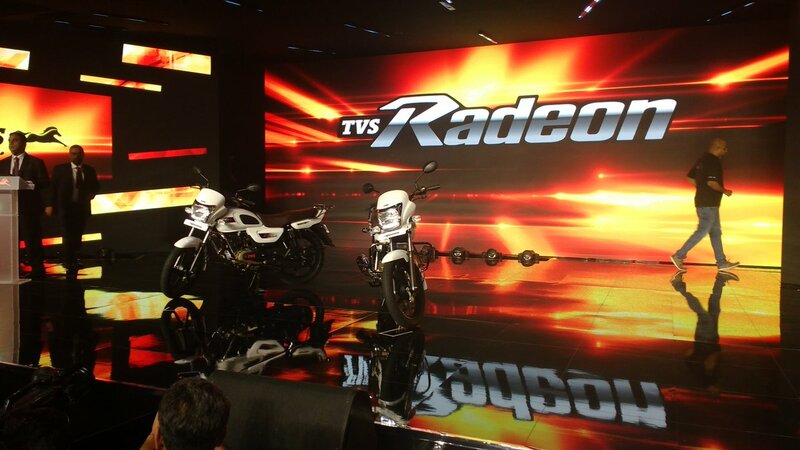 TVS Radeon gets a 110cc engine ( Dura-life engine) which produces a maximum power of 8.4 PS and torque of 8.7 Nm. The all new TVS Radeon offers mileage of about 70Kmpl. The fuel tank capacity of TVS Radeon is 10 litres. Talking about the dimensions of TVS Radeon, the bike measures 1070mm in height, 2006mm in length and 705mm in width. Radeon’s wheelbase measures 1265mm and gets a very high ground clearance of 180mm. The ex-showroom Price of TVS Radeon is Rs 48,400 ( Ex-showroom Delhi).